These days, the idea of wearing a watch seems to be almost antiquated. Why should young people own an everyday watch, let alone a dress watch when they always have their cell phone to tell them the time. Seeing someone on the street peer at their wrist when asked the time is so unusual as to seem charming and quaint. But watches have always offered more than simple utilitarian value. 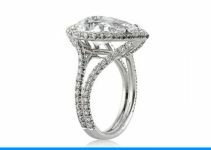 They can bring a sense of personal style to your outfit and express individualism as well as any other type of jewelry that we wear. 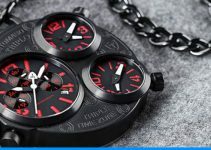 Below are ten dress watches for men and women that I think just might change the way you feel about watches completely. Not long ago, watches were an everyday necessity that few of us could afford to be without. They kept us on schedule and helped us navigate our day with unfailing accuracy. These days, the watch has been demoted to an adornment, more a piece of jewelry than a much needed device. Despite this fact, the right dress watch can be the finishing touch on the perfect outfit. When considering which dress watch to choose, one should be mindful of their budget. Watches can run from very affordable to extremely high priced. Another consideration is versatility. You’ll want a watch that can go with more than one outfit, whether it be formal or simple. With the right amount of thought, you can find the perfect dress watch for your life and wardrobe. This simple yet elegant watch features high quality Japanese quartz movement and is waterproof for daily life, but is not recommended for diving or hot water. Classy enough for formalwear, yet simple enough for more casual attire, the IPS plated mesh stainless steel strap and case are guaranteed not to fade. Case diameter measures 40 mm with a thickness of 9.5 mm. 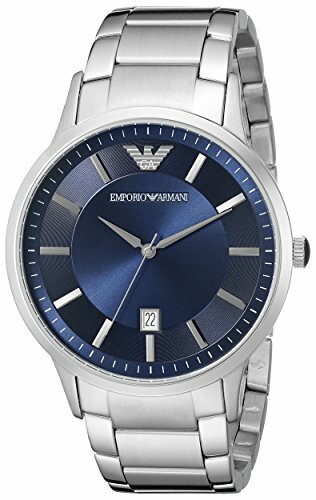 This silver Armani is a classic and would be a valued staple in any man’s wardrobe. Features three hand movement and a durable mineral crystal to prevent scratching, as well as a classic link-style band to ensure a good fit. Precise analog quartz movement and water resistant up to 165 feet. Case diameter measures 43mm. 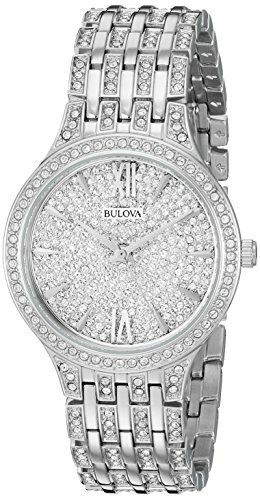 There is nothing casual about this stunning Bulova watch including Swarovski crystals. 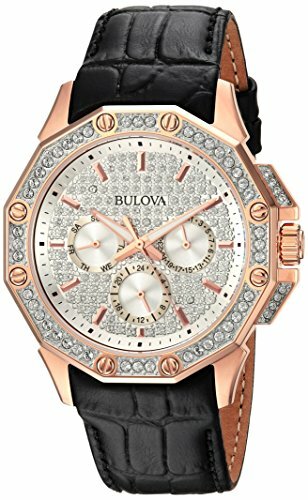 Tasteful and elegant, the rose gold tone stainless steel looks striking against the black leather band and is embellished with 170 Swarovski crystals on bezel and pave dial. 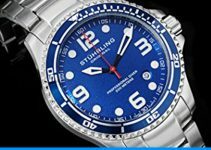 With analog quartz movement and a 44.5 mm case diameter, this men’s dress watch is water resistant up to 100 feet, though it is not recommended for swimming or bathing. 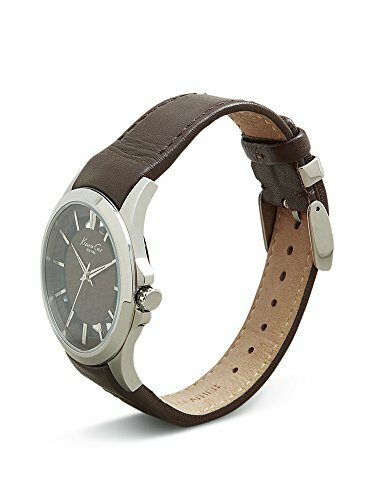 This masculine looking dress watch has a certain casual elegance with its brown leather calfskin strap, stainless steel case, and solid stainless steel buckle closure. It relies on Japanese quartz analog movement and features a sweeping second hand. Water resistant up to 100 feet, it is not recommended for swimming or bathing. Case diameter is 40 mm. These dress watches come with a Limited Lifetime Warranty. Sometimes less is more, and this is also true with the best dress watches. This black men’s dress watch is a prime example of classic simplicity. 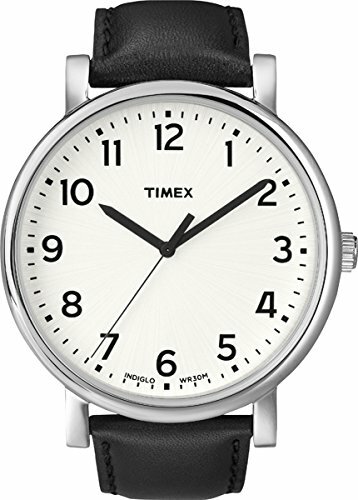 From the Timex Originals Collection, this watch features analog quartz movement and a mineral crystal to help prevent scratching. Waterproof up to 100 feet, it should withstand everyday day splashing but shouldn’t be worn while bathing or swimming. Case diameter is 42 mm. Simple and elegant, this beautiful rose gold-tone watch would be a stunning addition to any gown. Featuring round sunray dial with contrast logo and single diamond at 12, o’clock position, this alloy link bracelet has a jewelry clasp closure. It has a mineral dial window to resist scratches and uses Japanese quartz movement with analog display. Case diameter is 32 mm. NOT WATER RESISTANT. This oval ladies’ dress watch features a link style band for guaranteed fit and quartz movement combined with analog display. The silver-tone sunray dial with gold-tone hands and markers makes a lovely statement on the two-tone bracelet with jewelry-clasp closure. 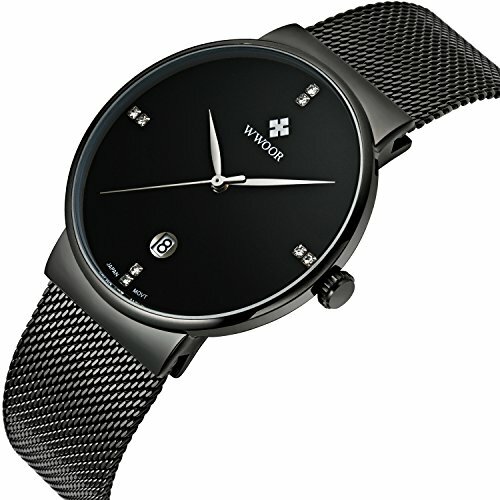 Armitron delivers a simple yet stunning dress watch that would look good with an elegant gown or more casual dress. NOT WATER RESITANT. This stunning stainless steel ladies’ dress watch is a part of the Bulova Ladies’ Crystal Collection and is truly a sight to behold. This rectangular slim dress styling in stainless steel embellished with 362 Swarovski Crystals on bracelet, bezel and full-pave dial and features analog-quartz movement. Water resistant up to 100 feet, but it is not recommended that you wear it while swimming or bathing. Case diameter is 30 mm. This simple yet beautiful women’s dress watch is perfect for the professional who isn’t looking for a lot of embellishment. 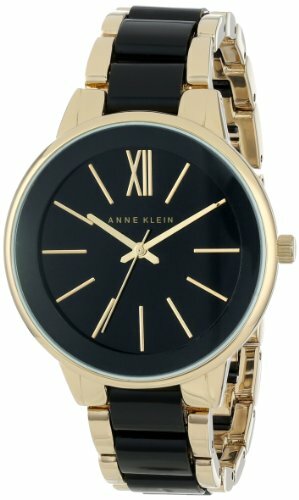 The gold-tone case and sleek black dial offer understated elegance on a link style resin band with jewelry clasp closure. The mineral dial window is resistant to scratching. Japanese quartz movement inside, with an analog display. These dress watches are water resistant up to 100 feet to withstand the splashes associated with normal daily use. However, with this rating, it’s not recommended for bathing or swimming. Case diameter is 37 mm. 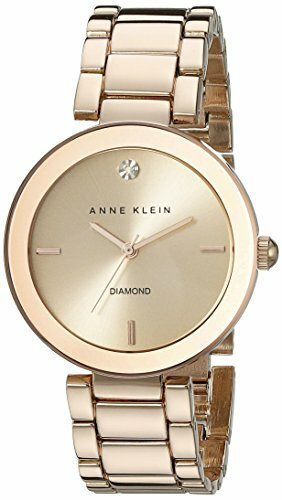 This bangle style ladies’ dress watch is the perfect blend of watch and jewelry. This round watch featuring black bezel and dial window with diamond accents and gold-tone bangle, runs on quartz movement with analog display. Includes a protective mineral crystal dial window and jewelry clasp closure. NOT WATER RESISTANT. Though they may seem archaic now, dress watches were once a part of everyone’s daily wardrobe. These attractive dress watches for men and women provide a nostalgic nod toward the not so distant past and offer an elegant way to accessorize beyond standard jewelry and cufflinks. You’re sure to garner attention at your next cocktail party or business meeting when you casually shrug back your cuff to check the time on your classic timepiece. When choosing a dress watch for yourself or as a gift for spouse, make sure you set a budget and decide what style you’re into. Do you like flashy embellishment, or a more understated, sleek look? Most watches are a one size fits all, whether they feature a jewelry clasp, standard band, or removable links. If you choose the last sort, be sure to read the instructions on link removal or take the watch into a licensed jeweler for assistance. Battery changes should always be done by a jeweler to prevent damage to the protective crystal. With some research and patience, you will be rewarded with the chance to impress your friends with your personal style. Next time someone asks you what time it is, you won’t even have to open your phone.